“This is our beloved country; this is Afghanistan, the fatherland of thieves,” sings bus driver Abas, sporting a charming smile, in the opening scene. The feature-length documentary debut by Afghan-Dutch filmmaker Aboozar Amini has opened the 31st edition of the International Documentary Film Festival Amsterdam. 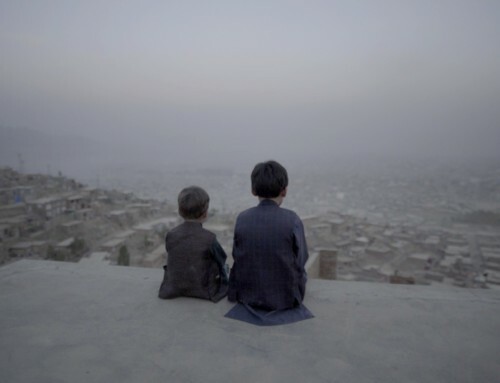 Throughout Aboozar Amini’s feature-length debut, Kabul, City in the Wind, we are given the opportunity to experience life in a city that is scarred by decades of war and terror, as the country has segued from one conflict into another. And although the violence has left a strong mark, the ubiquitous grayscales of the desert offer a refreshing view of the colourfulness of its inhabitants. Amini’s movie had its world premiere as the official opening film of the 31st edition of the International Documentary Film Festival Amsterdam (IDFA), unspooling from 14-25 November. “This is our beloved country; this is Afghanistan, the fatherland of thieves,” sings bus driver Abas, sporting a charming smile, in the opening scene. He is a cheerful man, it seems at first, at ease with the reality of working long hours to support his family. We see him driving through Kabul, smoking his cigarettes and calling for passengers. Soon, this lightheartedness turns out to be a choice of lifestyle, as he begins to explain how he has decided that for the remaining years of his life, he just wants to be happy, even if he’s on a streak of bad luck. “Sing a song, Abas; life passes anyway,” as one of his friends remarks. The story of Abas is interwoven with that of young brothers Afshin and Benjamin, who, after their father left Afghanistan for safety reasons, suddenly become the men of the house. Amini, who fled Afghanistan himself when he was younger, filmed in Kabul over a period of three years. Having experienced several terrorist attacks during demonstrations, he resolved to exclude any direct violence from his movie. Instead, he shows us the daily routines of clearing snow from the roof and tinkering with the engine of a decades-old city bus. He literally follows his three subjects around, and as we see the camera shake with Amini’s footsteps, it almost feels as if we are walking there ourselves. This style alternates with beautifully shot portraits that allow the subjects to speak to us about their dreams and fears directly, making for an altogether loose style – something that works in a reality where life seems to hold a certain amount of emotional ambiguity as well. Although conflict is omnipresent throughout the film, both in the minds of the main subjects and in its physical form, there is a certain subtlety to it. Benjamin, for example, plays a counting game using the graves of the victims of a horrific terrorist attack, which his own father barely survived. Later, his brother joins him to make music by banging rocks on the interior of an old Soviet tank. And in addition, while negotiating on the price of fixing his bus, Abas discusses with his mechanic how old bombs can be used for a multitude of purposes. While these remnants of violence take up a dubious role on the streets, we realise how adaptive the human mind can be. The conflict is normalised in some way, and we are therefore able to empathise with the characters’ creative way of dealing with this reality. We are only sucked out of this realm at certain points – for instance, when we hear the whoosh of the wind in the loud noise of helicopters above our heads. “They must be carrying weapons to fight the Taliban,” Afshin says. Much like Abas, Afshin and Benjamin, the viewer becomes a mere witness, left only to ponder what is presented: a city in the wind. 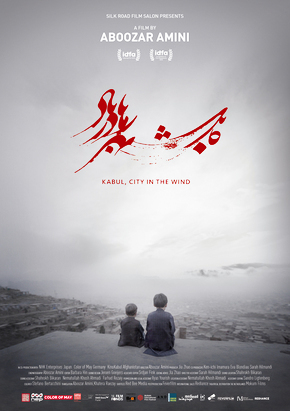 Kabul, City in the Wind is a Dutch-Afghan-Japanese-German co-production staged by Silk Road Film Salon, Color of May, NHK Enterprises and Kino Kabul, and it is one of ten films added to the IDFA’s official selection that were supported by the IDFA Bertha Fund.